What's the Right Age for Ear Piercing? What’s the Right Age for Ear Piercing? 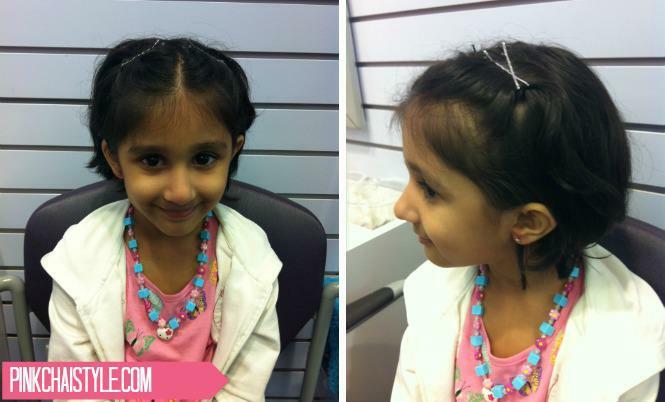 This weekend we had a pretty big milestone at the Thandhi household; Z got her ears pierced! If any of you have be been questioning the right age for ear piercing like I was – Z is 5 1/2 years old. For some people that might be too early, and many others get earrings for their girls when they are only a few months. So the question should really be, is there a right age for ear piercing? When I was struggling with ‘letting her’ cut her hair, I came across an article where Jada Pinkett Smith talked about why she didn’t stop her daughter from shaving her head and the line that really spoke to me was “The question why I would LET Willow cut her hair. First the LET must be challenged. This is a world where women,girls are constantly reminded that they don’t belong to themselves; that their bodies are not their own, nor their power or self determination. ” So true – with so many messages from the media telling girls how they should look, dress, eat, etc., Z doesn’t need her mom telling her what haircut she should have. This same outlook helps me when she goes all Punky Brewster with her outfits and accessories every morning, and I’m dying to offer up fashion advice. So basically I followed the same thought process on whether she was the right age for ear piercing – she asked, she understood it would hurt a little, and she still wanted to go through with it, works for me. A lot of parents suggested that we go with getting both ears pierced at the same time, but the piercer said that only works with kids that can hold super still. Z decided to go one at a time, and there were some tears and freaking out in-between, but once she saw the earring in one side she was able to muster up the courage for the other. In case you are wondering, we had her ears pierced at Claires, and it was a great experience. The younger girls and cute accessories put Z at ease, and the girl who pierced her ears was very gentle and calm. Have you gotten your daughter’s ears pierced, any thoughts on the right age, or tips for parents on making the process easier? Would love it if you shared in the comments! Thanks for sharing Shai! I’m a firm believer that most parents do the best that they can, with the knowledge that they have at any given moment – there’s no reason to judge each other. I’m glad to hear that your daughter likes them! I totally agree that it is up to the child. My daughter just turned 11 and is not interested yet (although I ask her fairly often!) She is a tomboy….and that will change soon enough I’m sure! Your daughter is such a sweet little beauty and she looks like such a big girl with those sparkly ears! I was actually planning on piercing my daughters ears early on. (She is 20 months right now.) Then I decided to wait until she’s older and actually wants it and would appreciate it more. Of course that doesn’t stop family members from continually from me when I’m going to pierce her ears! That’s a great point about “Letting,” I never really thought about it like that. I want to do everything I can to help my daughter become a strong and independent women, and it starts right from the beginning. Nice read. I don’t know what is a good age. 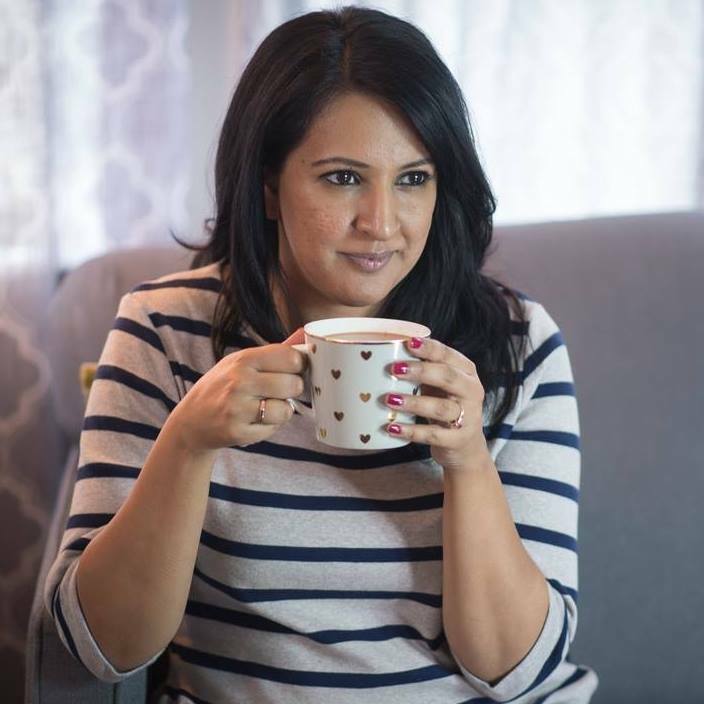 I remember when I got mine done (I remember I was very young but I have that scene plastered in my memory) and strangely it didn’t hurt – it was done with the age-old method of piercing it straight with a sterilized hooped silver ring by a “family jeweller” in India. These guys have been doing it for generations – as a family trade. In fact, it was considered safer to get it done from them than a qualified practitioner. And there is some truth to it – never had any complications. My daughter was about four when I got it done – everyone around me said I was “late” as it would hurt now. But I guess, she wanted to get it done as she understood and was pretty enthusiastic about it. It did hurt for couple of days and she wasn’t happy about that. One of my friends said the best age is when they are 16 and they can choose it for themselves. I don’t know – I guess, for me it was more about, mother and daughter doing girly stuff together. 😀 She likes the little studs now. p.s did you know that sailors wore earrings as a symbol of them having traveled the world? Also pirates wore earrings as a burial security. In case their bodies were ever washed ashore, they hoped the earrings would serve as payment for a proper burial. Interesting eh? Hey Yashy – I completely agree, to each there own – no judgements! I didn’t know about sailors and pirates and their earring logic, very cool! Hey, I’m not a mother, but I’m the eldest daughter of three girls. My mother had set a rule that our ears were only to be pierced after grade 6, and that too- if we had an awesome report card. Her goal was to ensure that our brains were developing first before the superficial ‘beauty’ took over. After that- all three of us used special occasions/personal goals that we accomplished to get other piercings (etc nose/ 2nd ear pierce). And now I have a great story to go w each of them!